M. and I went over to Westcliffe Friday night to watch a movie in a real (and historic) theater. Westcliffe is not a ski town, not a river town, not a mountain-biking town. When its one ski area, Conquistador, finally faceplanted too many times and shut down in 1993, the town gave a collective yawn and got on with its real industry, building mountain mini-mansions. and you have the Westcliffe of today. 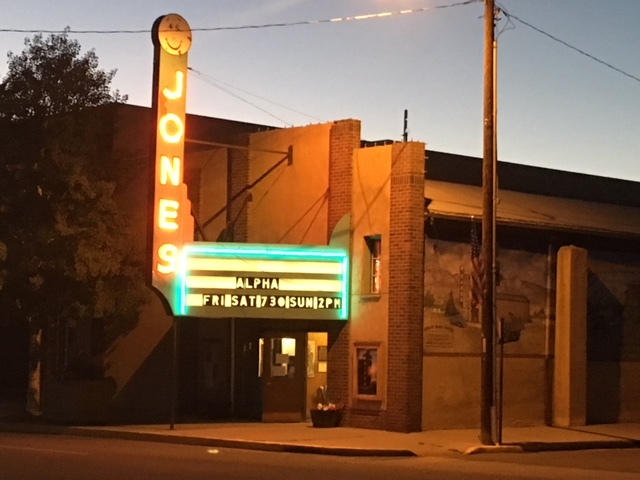 It occurred to me as I sat on a street bench across from the Jones Theater that you could pick up the whole place and set it down in, say, Phillips County—only with neo-historic streetlamps and a "dark skies" ordinance. The two counties' populations are about the same, and the buildings would fit right in. The only difference is that almost no one is building mini-mansions all around Phillips County, thus supporting numerous small construction firms. On the prairie there is maybe less talk about agricultural "heritage" and more actual agriculture. Walking down Main Street, it seemed like every third retail space was for rent and almost every restaurant for sale. 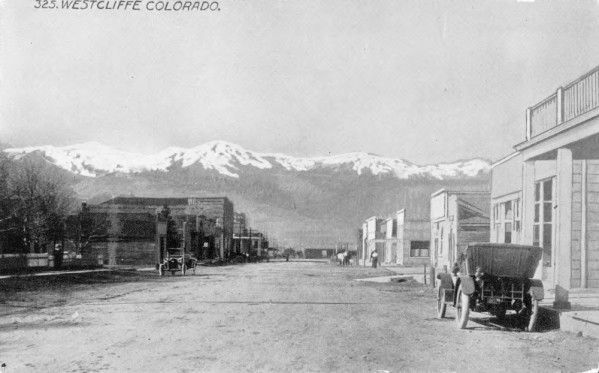 Chappy's, our favorite bar for Westcliffe visits, was "closed for renovation." I hope that's not a euphemism. Then there is the new but growing Amish population (buggies at 8,000 feet!) who have a different set of shopping needs and probably rely sometimes on mail order from Gohn Bros. or wherever. So there is much complaint about how retail businesses (except hardware) cannot succeed with a season that is only four months long. On the other hand, there seems to be little desire to be one of those resort towns with a different manufactured "festival" every other weekend throughout the year. The argument goes around and around.